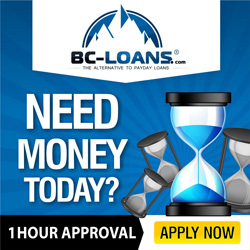 While payday loans are excellent ways to pay for emergency repairs or unexpected expenses, you may also consider other types of financing as well, especially if the need for money isn’t necessarily urgent. For example, one of the financing options is to take out a loan from a small loan provider or your local credit union. Some banks or credit unions can provide loans covering a short term at a competitive rate. You may also consider taking out a cash advance on a credit card. However, be careful as the interest may be higher than other funding sources. Carefully review the card’s terms before making a decision. In any event, you want to compare and contrast all the possibilities. If you find, after taking out a loan, that you’re struggling with the payments, contact the loan provider and request more time to pay back the loan. Lenders are more than willing to work with you if they feel you are making a conscientious attempt to pay off the borrowed amount. If a lender offers you an extension of time, find out what charges you will be incurring. For example, what is the late charge? Is there an additional finance fee? Will you be paying back the amount at a higher APR? These are all questions you should be prepared to ask if you want to work out a feasible plan with a credit issuer or lender. If you need to formulate a budget or work out a broader repayment plan, then it’s a good idea to contact a local consumer credit counseling service. Credit guidance is offered at an affordable cost or for free. You can ask about credit assistance through your credit union or employer, or obtain information through your local bank. Whether you opt to take out a payday loan or a cash advance, it’s always a good idea to get into the habit of budgeting. Planning is essential for paying back a loan as well as managing daily expenditures. Plus, planning can help you avoid all those unnecessary costs – such as late charges and additional ATM fees. 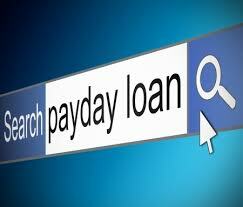 Fees on payday loans and cash advances are high. So, if you want to make wise use of your money, it’s helpful to see where it is being spent. Also, make sure you have overdraft protection on checking. Avoid any credit problems by double checking with your bank about this safeguard. Find out the costs of the coverage. Banking institutions provide “bounce” protection for electronic withdrawals as well as paper checks – both, usually, for a small but worthwhile cost.